Dreading what she would see, Liss looked out. She made an inarticulate sound of distress at the sight that met her eyes. It was a fire, and it was the bookstore on the far side of the square that was burning… Angie! Where was Angie? Where were her children? The bookstore owner lived in the apartment above her shop with sixteen-year-old Beth and twelve-year-old Bradley. Kilt at the Highland Games by Kaitlhyn Dunnett is a cozy mystery set in the fictional small town of Moosetookalook, Maine. IF you are looking for a romance, you should look elsewhere as there was none. The book features an amateur sleuth, Liss MacCrimmon, who calls Moosetookalook home. I’m sure I won’t be the only Scottish lover to be drawn to this book because of the Scottish references in the title. I confess that another lure for me was that I also wanted to listen to Tanya Eby who narrates the book. Liss MacCrimmon is married to Dan, a woodworker and member of Moosetookalook’s volunteer fire department. Liss is a former Scottish dance troupe dancer. She now operates a Scottish Emporium and the tale finds her busy prepping her wares for the annual Celtic heritage festival held in July. Sadly, it seems that a crime wave has afflicted the normally quiet town making this year’s festivities a wee bit more eventful than usual. As the story opens, Liss awakens to a fire engulfing the town’s bookstore. When the fire dies down, Angie Hogencamp and her two kids are not found among the ruin, so where are they? Then, when a homicide occurs on the opening day of the games, Liss’ sleuthing skills hype up. Unfortunately, they also put her in danger. This story included a myriad of quirky supporting characters from – but not limited to - a dastardly alderman who wanted to shut down the town’s public library to save money, the town’s librarian who had quite a collection of antique weapons and a particularly nasty town visitor who was a stickler for anything Gaelic. 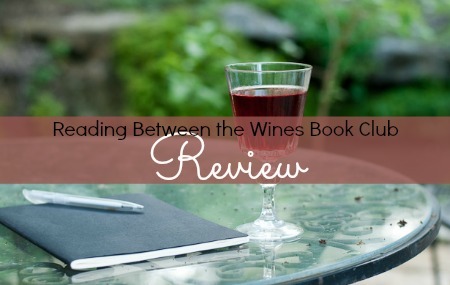 To the author’s credit, I had no issue whatsoever keeping track of the characters. Tanya Eby ably narrated Kilt at the Highland Games. This is the first time I’ve ever listened to Tanya Eby. It appears that this book is the first book in this series to be offered in an audio edition as well. Tanya delivered a solid polished performance with a clear, pleasant voice, differentiating between the characters to where I never had an issue wondering who was speaking. I would not hesitate to pick up another audio by her based upon this listening experience. 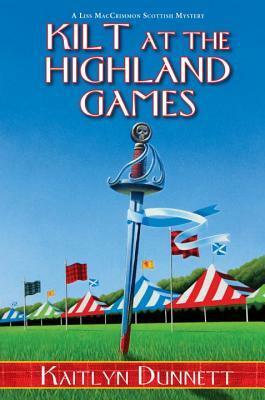 Kilt at the Highland Games is the tenth installment in the Liss MacCrimmon Mysteries series and I have not read any of the earlier installments. Even so, the book worked well as a standalone read as the development of the danger plot is fully contained within this novel. That said, it’s possible that if I’d had a previous connection to the main character, I may have rated the book higher. I enjoyed listening to Kilt at the Highland Games. Feeding my love of anything-Scottish, the tale included many references to the games and the associated dancing, Scottish-themed merchandise, tartan kilts, bag piping and brogue. In addition, many of Moosetookalook residents seemed to have roots in Scotland. Kilt at the Highland Games was a fun whodunit read – perfect for a quick escape. I plan to keep my eye out for future availability of this series in audio.